In a perfect world, you can go the distance with any person who has sinned against you. Our problem is that we do not live in an ideal world. There are times when all you can do is forgive them, no matter how great it would be to reconcile with them. In my “Pre-forgiveness” article, I talked about the essentialness of having a God-centered view and gospel-shaped humility regarding the evil that happens to us. I used the story of Joseph, from Genesis 38-50, as well as a case study about a marriage that went through an adulterous relationship between the husband and another woman. In both of those illustrations, I brought them to the point of reconciliation, which is what happened in those stories. Even though they were able to reconcile, that article was about forgiveness, but not reconciliation, and there is a critical difference between those two necessities. 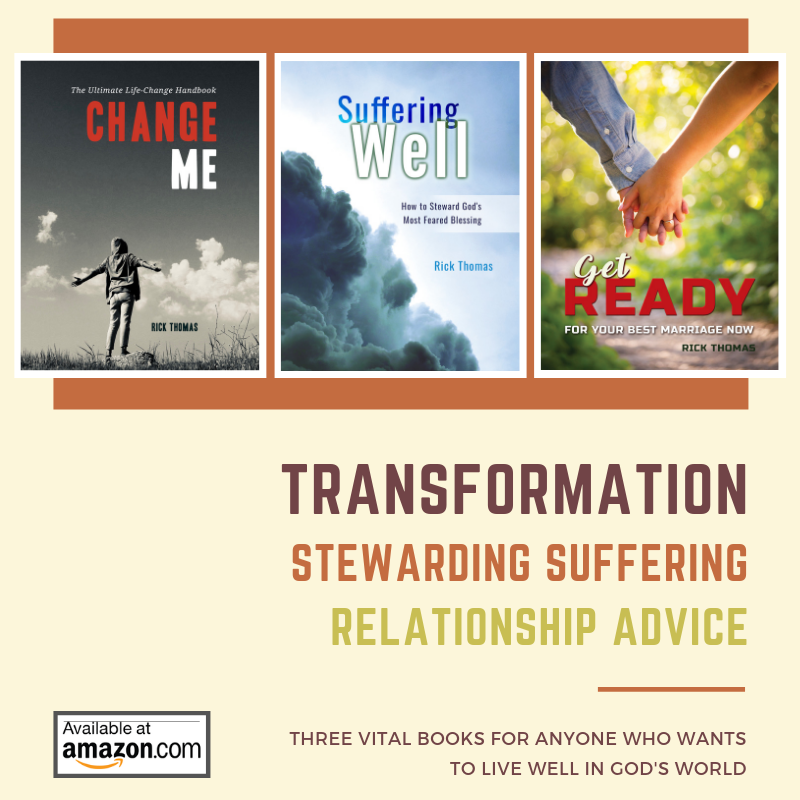 Some of my readers jumped to the conclusion that all broken relationships end in reconciliation if the offended person (victim) is willing to reconcile like Joseph and the wife with the adulterous husband. Other readers did not make that jump, but they did ask how to respond to a person who does not want to reconcile, even when the offended person is ready to do so with them? Because we live in a fallen world, we have to make room for the possibility of not being able to reconcile with every individual that sins against you. There are at least four reasons why this outcome might happen to you. I will address those four reasons. The best place to start talking about the “impossibility of reconciliation” is with Jesus because He was perfect in every way. And unlike us, He never sinned against anyone, and He never had to “get His heart right with God” to forgive or seek reconciliation with someone. If anyone had the perfect chance to be reconciled with an offending person, it was Christ. He created no barriers between Himself and those who needed to make right what they did wrong. Jesus understood how others sinned against Him, and He developed a plan with His Father so sinners could reconcile with Him. Jesus positioned Himself to restore any relationship that wanted restoration. Still yet, He was not able to reconcile with everyone. People walked away from Him, while others openly mocked Him. And though He was innocent, some people conspired against Him and eventually put Him to death. Fundamental Idea – Regardless of how perfect He was there were individuals unwilling to make things right with Him. Paul was one of the most passionate Christians ever to live, but he, like Christ could not reconcile with all those that he had offended. It takes two believers willing to humble themselves before the Lord and each other if they want authentic reconciliation. That is the power of the gospel. It can happen, but it must be a work of God, moving the heart of the person who sinned (Paul) as well as those whom he sinned against (the Christians). Initially, they were suspicious of him for legitimate reasons, but as time went by and the evidence of his repentance was perceived by many, he was accepted by those that he had previously offended. Today, Paul’s reconciliation with those that he offended is eternal. The murderer and the murdered are fully reconciled and worshiping Jesus. There is grace for forgiveness. And there is grace for reconciliation when the offended and the offender are willing to access and appropriate it. Jesus and Paul had moderate, but not a complete success when it came to reconciling with others, and we do not consider them spiritual failures by any stretch of the imagination. It’s critical for you to know that forgiveness and reconciliation are not the same things. Just like the Ordo Salutis has elements of our full salvation, there are also components or aspects of complete repentance. Read my article, “The Doctrine of Repentance” to learn the thirteen steps to repentance. If there is a breakdown at any point in this process, the individuals involved will not be able to reconcile. There is an equal responsibility on the offender and the offended to respond to God and each other if they want to experience reconciliation. Step #1: Sin – This is the only negative on the list, and it is the reason that you have to go through this process. Someone has sinned against another person, which has severed the relationship. Step #2: Guilt – After the person sins, they are guilty before God. We do not make the rules; we are called to abide by them. The Bible lays out the rules, and if you transgress them, you are guilty before the Rule Giver. Guilt is not negotiable. Like gravity, it is an unalterable law. If you cross the line, you are guilty, and there is a requirement for you to respond to what you did wrong righteously. Step #3: Conviction – Because you do not feel guilt, it is imperative for you to be able to “feel” your wrongness. This point is where conviction becomes mercy from the Lord. You realize and feel that you have done something wrong. At this point, you should respond to His mercy, but that is not always the case. Some people do not respond when they feel the Spirit’s conviction in their consciences. If they continue to resist this conviction, their consciences will begin a hardening process (1 Timothy 4:2). The hardening process happens as they willfully blame, justify, rationalize, or alleviate the conviction they experience from the Lord. If this happens, they will not have the possibility of reconciling with God or the other person who has experienced their sin. This stubborn posture is one of the places that makes reconciliation impossible. If a person does not respond to God’s conviction, they cannot remove their sin, and they cannot reconcile to the person that they have offended. How sensitive are you to the Spirit’s conviction? How quick are you to own your sin against God and others? Step #4: Confession – If the offender does respond to the conviction they experience from God, the next step is for them to “agree” with God and with any other person(s) that they have offended. As you know, the word “confession” means “to agree.” If they do agree, they are ready to receive forgiveness from God and others. In this illustration, I am assuming someone, in addition to the Lord, was inside the sphere of sin. The fundamental principle in play here is the “sphere of the offense” determines the “sphere of confession.” Meaning, all the people that the person sinned against represents all the people who need to experience the confession from the offender. This aspect is the second place that can keep reconciliation from happening. It is possible to experience the conviction of the Lord, but not follow through by confessing the sin to all those who were offended. Are you clear on the sphere of the offense and the sphere of confession? Do you follow through by confessing your sins to God and others? Step #5: Pre-forgiveness – I have discussed the concept of pre-forgiveness at length, so I will not repeat that information. If the offender has successfully navigated through and accomplished the first four steps, it is time for the offended to step up to the plate. He has sinned against God and you. He is guilty before God regardless of whether he owns it. He has experienced the Lord’s conviction and did not want to harden his heart. He has confessed his sin to God and you. At this point, you should be willing, ready, and empowered to forgive him. While he is working through the first four steps, you should be working through the next three, so you can receive him when he comes to you asking for forgiveness. Not being ready to forgive a person who is asking for forgiveness is another instance that will keep reconciliation from happening. I think some people place the primary responsibility of reconciling exclusively on the offender, while not realizing how hard it is to be willing to forgive. The offender can most certainly mess up the possibility of reconciliation in steps one through four, but the offended can keep reconciliation from happening by not being willing to work through the forgiveness elements: pre-forgiveness, forgiveness, and post-forgiveness. Do you hold resentment in your heart that hinders reconciliation with someone? Is there anything you need to change about you so you can reconcile with someone? Every person sinned against should hear the confession of the sin from the offender, and all of the offended people should have the opportunity and be willing to grant forgiveness to the offender. Has someone come to you, asking for forgiveness and you have not granted it? Is it hard for you to grant forgiveness to a repeat offender? Step #7: Post-forgiveness – The post-forgiveness element is the beginning of what should be the reconciliation of the victim to the offender. If both parties have successfully worked through the previous six steps, the sin is sufficiently dead, obliterated, and removed. This “condition” is the power of the gospel on our behalf. There is nothing between the offender and all the people who have been offended. Theoretically, there is nothing that should keep reconciliation from happening. This juncture is the point where you should be able to hug genuinely. The key to remember is reconciliation is conditional: it takes three individuals to reconcile: God, the offender, and the offended. The Lord will not force righteousness on anyone. Each of us has to make a choice. If you have been offended, you have a choice to make as to whether you are going to respond in a way that makes God’s name great. If you have sinned against someone, you have a choice to make as to whether you are going to reconcile to God and the person you offended. Conviction – Are you sensitive to your transgressions? Confession – Are you willing to confess to all those offended? Pre-forgiveness – If you are the victim, will you ready your heart to forgive? Forgiveness – Are you both willing to forgive and move forward to post-forgiveness? In some situations, you can go beyond reconciliation. You can work together on restoring “the cause and the effect” of the sin that happened. This opportunity is not always possible or necessary, but it can occur in the sense that Paul taught us. It is not possible (or necessarily wise) to help restore (also called disciple) every person who sins against you, but it should be possible to be reconciled to every person–assuming both parties are willing to reconcile. For example, two Christian spouses should always be willing to move beyond reconciliation by pursuing the reciprocal restoration of each other. When Lucia and I sin against each other, we can reconcile, plus help each other to experience full restoration to God and each other. The offender and the offended are now working side by side, fighting sin in this world and their individual lives. As you think through this article, spend time reflecting on the eight questions that I asked you. Also, consider the people you want to do more than reconcile the relationship. Who are the people within your sphere of influence that you can come alongside to help disciple?